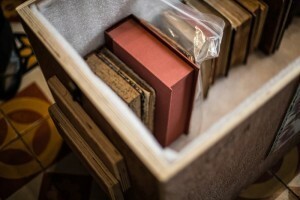 After three long years of preparations, the hundreds of thousands of books and other items in the Greek National Library‘s collections, are making the journey to their new, ultra-modern home. 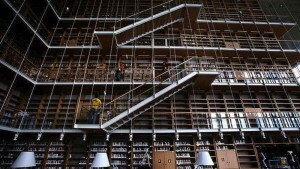 The Library will soon be housed in it’s new premises in the Stavros Niarchos Foundation Cultural Center . The move is expected to be completed in April, when the library will gradually start to go into full operation. The transfer began three weeks ago, with daily journeys by trucks safely delivering their precious cargo under controlled climate conditions, accompanied by library staff. 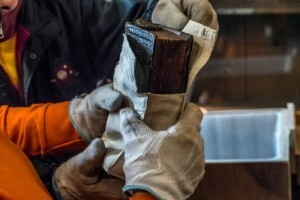 The books were then placed on shelves, or special vaults in the case of the rarer and more valuable manuscripts and books, as well as the impressive Book Tower, in a carefully planned and orchestrated operation. Hundreds of people are currently using the reading rooms and PCs in the library’s lending section, which are bathed in the ample natural light allowed in by the glass building. The building was designed by architect Renzo Piano, to showcase the colorful furniture, the Book Tower and the Research Library at the center of the building. The transfer to the new building entails moving 750,000 items in the general collection and 40,000 in the lending section (10,000 of which are educational games), as well as 30,000 magazines published in the last five years. It is funded by the Greek state with a budget of €500,000. The project was financed through a €5Mn. donation from the Stavros Niarchos Foundation and a €5.2Mn grant from the Greek state. Once the transfer is complete, the National Library will open for the public, providing eight reading rooms with a total of 400 seats.